It hopefully hasn't escaped your attention by now that the Lamborghini Aventador SVJ is a fairly exceptional motor car. Sure, it's Nurburgring lap record has been surpassed, and it's automated manual gearbox isn't brilliant, but it's exactly the kind of wild, intoxicating, visceral V12 flagship we'd want from Lamborghini. It's also spectacularly fast around a circuit. Despite not being especially light, or with the benefit of hybrid technology, the SVJ has proven itself staggeringly good at quick laps. That continues into this year with this video from sportauto, the Aventador SVJ now the quickest road car ever tested at Hockenheim GP. It clocked a 1:47.3, putting it ahead of the McLaren 720S by nine tenths, a 911 GT2 RS by 1.8 seconds and a Mercedes AMG GT R by 3.2 seconds - quite some achievement. The SVJ's looks a physical and demanding lap, too, seemingly requiring a fair bit of effort to be kept on the racing line. Or somewhere near it. And, of course, the Aventador sounds sensational as always. A worthy accompaniment to your morning brew, then, and there's an added sweetener - a Countach 5000S. 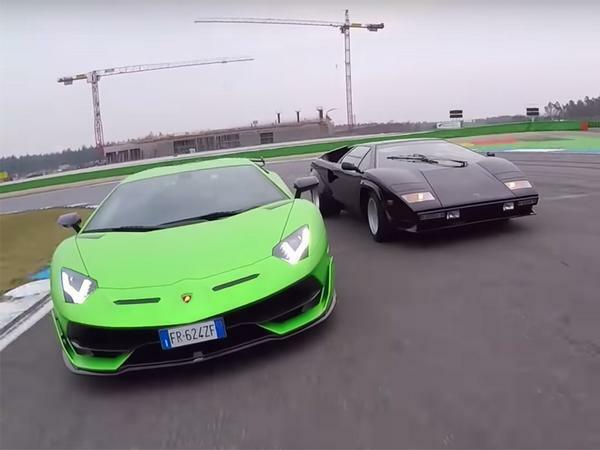 It doesn't get the hot lap treatment, unsurprisingly enough, but any amount of Countach on video has to be worth a watch, doesn't it? The 720s which is not a track car with very few aero bits was nearly as fast. With trofeos would have definitely been faster. Dunno, I really would much rather have the Performante. Except it won't be trim but part of the timing/camera gear they've strapped into it.